You fly aircraft used in the Battle for Midway Island. You control a single aircraft that you select. You are then attacked by enemy planes. As you move through the levels the enemy aircraft become stronger, faster, and the main target for each level becomes harder to take down. 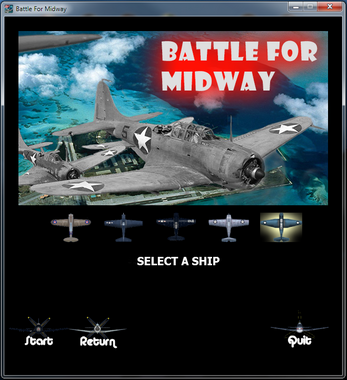 Choose from five planes used in the battle for midway, each with their own strengths and weaknesses. Battle through waves of enemy planes, with each wave getting harder to complete. 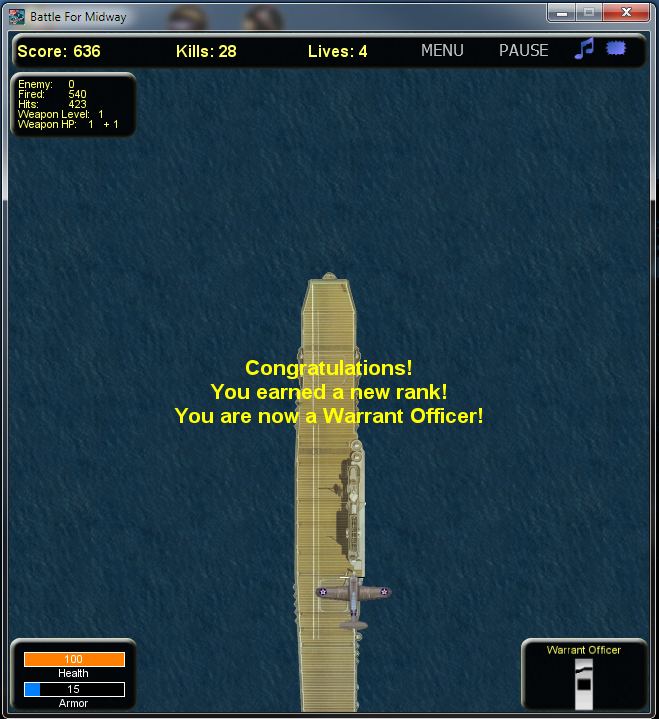 Earn new ranks while you take down enough enemy planes. 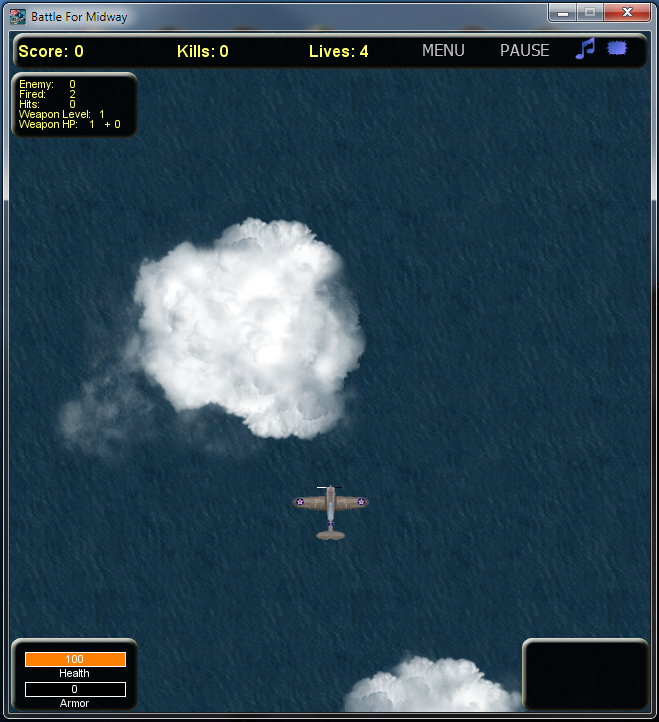 Try to survive and shoot as many enemy planes as you can. Use the arrow keys or the right mouse button and move the mouse to move the plane, spacebar or left mouse button to fire weapons. Pressing the ESC key will save your progress and take you back to the menu screen. You can then click the Start plane to resume where you left off. Stop over and check us out at Lazy Mutt Games!